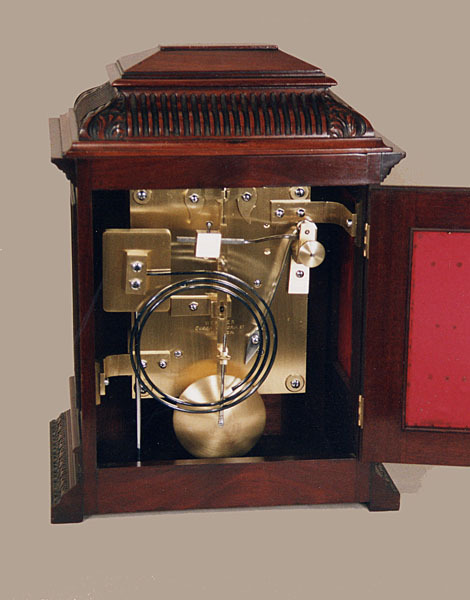 This Other clocks and instruments Archive's Maker - R.Webster, Queen Victoria St., London. 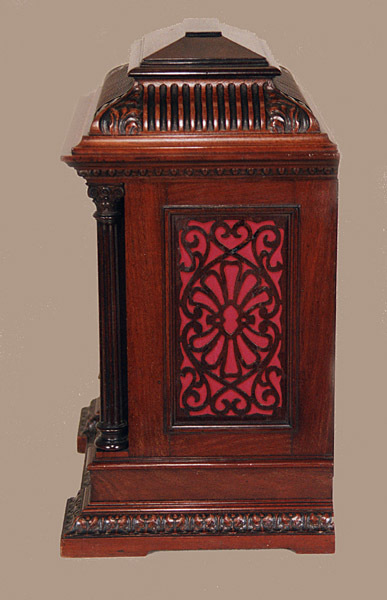 Small mahogany case with Corinthian columns, finely carved details, pierced "silk" backed side frets and locking bevelled glass door.Pierced metal "silk" backed fret to rear door. 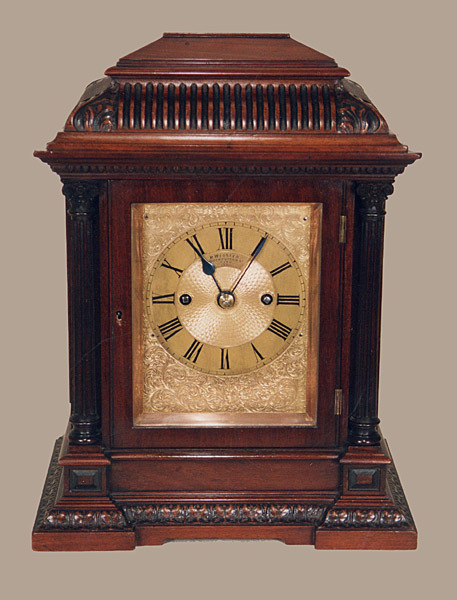 6" tall X 4.7" wide brass dial engraved with scrolling acanthus leaves and flower heads to outer with engine turned dial centre.Blued steel hands. Signed R.Webster, Queen Victoria St., City. 1900 under 12 o'clock position. Superb quality twin fusee movement with anchor escapement hourly ( rack ) striking on a deep toned coiled gong with passing half hour strike. Backplate signed Webster, Queen Victoria St., London. R.Webster, Queen Victoria St., London.